Yah for pre-cooked free range chicken at Farro Fresh which helps make this a super quick week day meal. 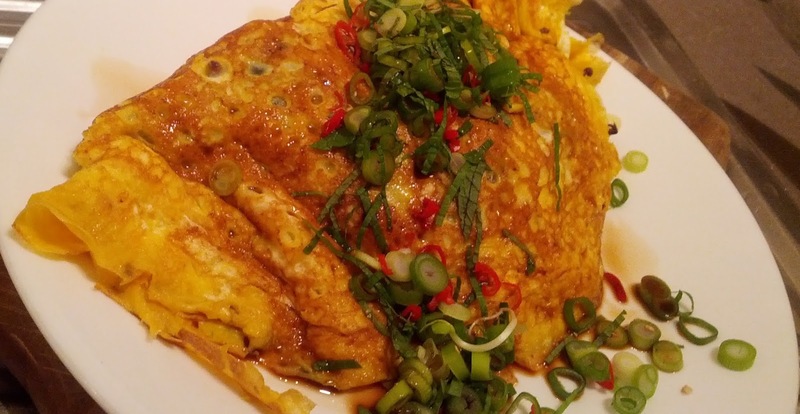 Lovely Asian flavours with crisp vegetables and fresh chilli give it a bit of zing. Shred snow peas, set aside. Whisk together eggs, fish sauce, sugar & chilli flakes until just combined. Heat 1 tbsp sesame or peanut oil in a well oiled or non stick frying pan over a medium-high heat. Add egg mixture swirling around the pan until just firm. 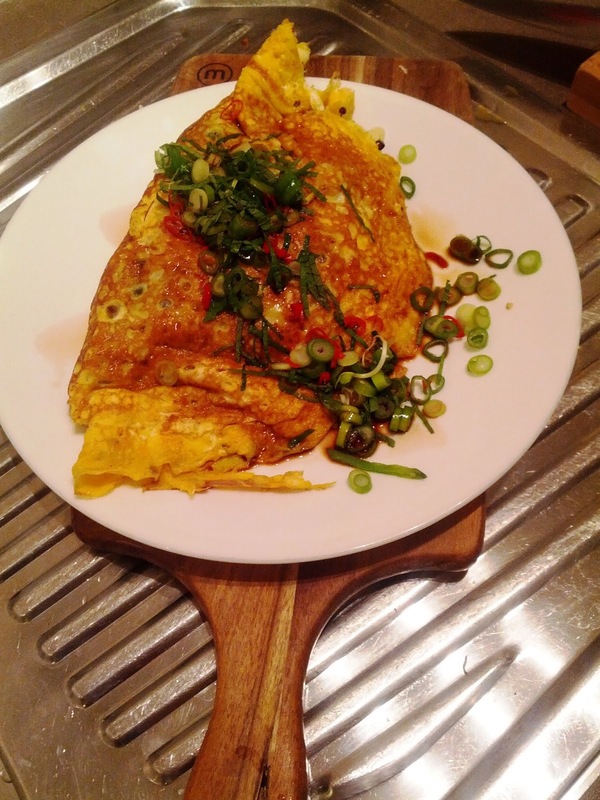 Place the chicken, snow peas & sprouts onto one half of the omelette and fold over to enclose. To serve top with spring onion, chilli, mint mixture and a side bowl of soy sauce. Enjoy!